Ben Carson business partner Al Costa convicted of health care fraud. 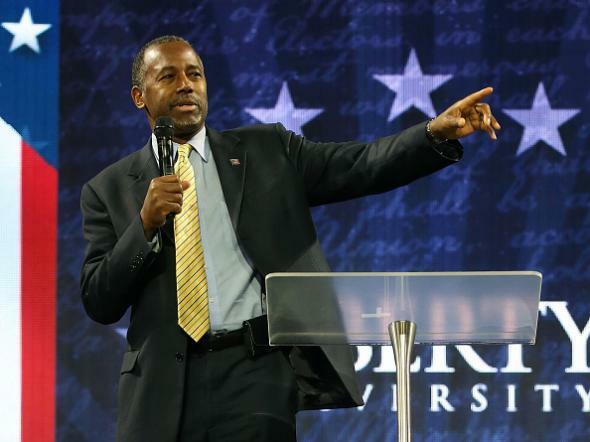 Ben Carson speaks at Liberty University in Lynchburg, Virginia, on Nov. 11, 2015. The AP reported this morning that leading Republican presidential candidate Ben Carson—who’s currently dealing with a number of credibility issues—has an ongoing business relationship and close personal friendship with a Pittsburgh dentist who pleaded guilty to felony fraud after being charged in 2007 with billing patients for procedures that had not been performed. Carson’s relationship with the dentist, Alfonso Costa, predates his criminal conviction, which according to the AP involved more than $40,000 in fraudulently billed payments. Costa was fined and sentenced to house arrest and community service, and did not serve jail time. BenCan and INBS then paid more than $3 million to purchase an office building in suburban Pittsburgh. The mailing address for the corporations listed on the deed matches the office of Costa’s real estate firm, Costa Land Co. … Tax bills for the Pittsburgh office building owned by the couple are mailed to Costa Land Co. A recent lease for a portion of the property was signed on the Carsons’ behalf by the president of Costa’s company.